He said, My vision for the country rests on a tripod, to heal Nigeria and build a nation; to break the backbone of poverty and to lead Nigeria to economic transformation and thirdly, to restore Nigeria standing in the world. It is an indication of absolute contempt and disrespect for Nigerian citizens. According to him, I think therefore that the 2019 election is a choice between the future and the past. I believe that any vote for the APC or the PDP in this election is a wasted vote. Why is it a wasted vote? It is a wasted vote because if they were to win, it will be four years of the same nothingness, four years of emptiness. In the case of the APC, four years of recycling poverty, four years of incompetence, four years of divisiveness and nepotism. In the case of the PDP, four years of the rich getting richer and the poor getting poorer, four years if the failure of their 16 years record, four years of enriching friends and cronies. 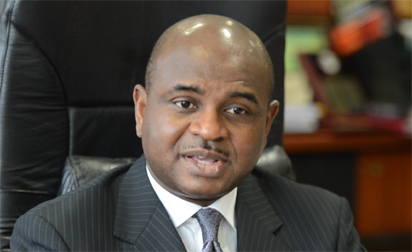 Moghalu, therefore declared, I offer myself once again as a path for Nigeria renaissance, as the path to Nigeria resurgence, as the emancipation of the Nigerian masses and in that context the election is an emancipation of struggle. We must now begin to dismantle the political industrial complex that has existed in this country for the past twenty years. Politics is the biggest business in town and the people get no governance, all they get in return is poverty, joblessness, insecurity. It will end under the YPP presidency. Previous articleWhich way, Nigeria? 4+4 or 4-4?